A Time of Renewal . . .
"A Time of Renewal! This Month Everything Changes!" While I was praying with the Lord recently, I drifted off into a twilight sleep and suddenly went into a vision where I saw a boiling pot. The last time I had the type of vision that startled me awake was when the branch of an almond tree hit me in the eye while I was in this same type of prayer posture. When God first called Jeremiah as a prophet He trained him to see and to hear His voice through visual aids. Jeremiah's first vision was that of an almond tree. The almond tree is one of the first trees to blossom in early spring and indicates the nearness of the fulfillment of God's Word. Because of the events surrounding the blossoming of an almond tree, this tree becomes a symbolic picture of being ready and watching as all other events unfold (Jeremiah 1:11-12). "When we allow the process to unfold the way God intended it to unfold, we will truly come forth as vessels of pure gold!" The second vision Jeremiah had as the Lord was training him for service was that of a boiling pot. The boiling pot represented the calamity that would come upon the people of Judah for forsaking God through disobedience and acts of idolatry. Jeremiah was to deliver the unpopular message of repentance to the people of Judah. However, God promised He would protect Jeremiah through the persecution Jeremiah would endure, because of his obedience to deliver a message of warning and exhortation (Jeremiah 1:8,17-19). The heart of the Father through the prophet Jeremiah was a call of covenant and repentance. The burden of the Lord that Jeremiah carried was for Jerusalem to remember her first love and to turn from her compromised ways. The 17th letter in the Hebrew alphabet, having the numerical value of the number 80 (we see this same number in the Hebrew year 5780/2020), is the letter pey. The letter pey is a pictograph of a mouth and means "word, breath, speech, or vocalization." When God first anointed Jeremiah as a prophet, He stretched forth His hand and touched Jeremiah's mouth giving him the power to shift kingdoms and nations with his words. Jeremiah was anointed to govern the land by releasing the heart of the Father through his ministry mandate of preaching against sin, overthrowing the strongholds of the enemy, and restoring the Church back to perfect order. Jeremiah's mission was not only to enforce God's Word through the prophetic utterance and obedience, but to release the dynamic and creative Word of the Lord as a builder and planter ushering in hope, restoration and renewal (Jeremiah 1:9). Jeremiah's voice was a gateway into the heart of the Father for sparking reformation. Jeremiah exercised his shamar (which means "to preserve, protect, save life") anointing to overthrow the thrones of adultery and to stimulate the healing process through releasing the heart of the Father to His people (Jeremiah 1:14; 25:5-7). Jeremiah was not only a prophet at heart, but he carried an apostolic anointing to build and to plant through the Word of the Lord. The word build in Strong's Dictionary means "to repair, build up, obtain children, to establish family, and restore exiles." At the beginning of the Hebrew new year, 5779, I woke up from a unique dream where the Lord immediately took me into a vision of a man who had an oversized beaver's head. A beaver is a master builder who creates and establishes a "safe house" for a family of beavers during winter seasons. The process of building a "beavers den" requires the beaver to cut down trees with their teeth and to use those trees for the purposes of maintaining a healthy ecosystem. The beaver's task, of "destroying" the conditions of a forest through the uprooting of its trees as a building tool and creating healthy habitats for future generations to reside in, gives us a perfect picture of how God uses a Jeremiah prophet to restore His Church back to her true Kingdom character and identity! Just like the beaver, a prophet's job is to rebuild the Body of Christ (family) by working diligently to usher in healing and restoration – through the pulling down, rooting out, and building and planting process. I believe the Father is calling Jeremiah Prophets to the front lines at this hour to awaken the Church to her true identity. A fearless company of Jeremiah prophets is being empowered to help rebuild the structures of a broken down Church and to help establish healthy Church communities/families in this new era. Where the Word of the Lord is released and received through the mouth of a Jeremiah prophet, houses of worship will experience a move of the Spirit, ushering in healing, times of refreshing and renewal. 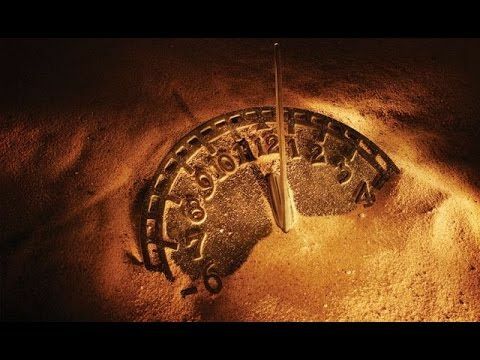 Many will be confirmed in their office as a remnant of end-time Jeremiah prophets and begin to operate out of the fullness of who God created them to be. A shift in the prophetic movement, where the Word of the Lord is released through the mouth of the Jeremiah prophets, will bring order back to the Church and cause a fresh outpouring of the Spirit to awaken the sleeping from their slumber. An acceleration of the fulfillment of the Word of the Lord will manifest without delay as the Lord watches over His Word to perform it in an unprecedented way. New manifestations of the touch of the Lord, along with the call of the Lord for the 5-fold office of the prophet, will confirm God is the One who anoints, appoints, and assigns His vessels for service (Jeremiah 1:9-10, Ephesians 4:7-12). Where the Church is resistant and in opposition to the Jeremiah prophets, a new courage, resilience, and confidence is giving license for the Jeremiah prophets to release the Word of the Lord freely! Arise, Jeremiah prophets! The Church needs what you carry. "Jeremiah's voice was a gateway into the heart of the Father for sparking reformation." I woke up on February 1, 2019, and heard Holy Spirit say, "The month everything changes." For a few days prior to crossing over into the month of February, I sensed significant change would come with this crossover into the second month of the new year. Holy Spirit had been showing me where the Body of Christ was going through a deep cleansing and healing process. I saw many were experiencing self-deliverance as the balm of Gilead washed over their hearts and souls through repentance and unrelenting prayer. I also saw many had gone through seasons of warfare like never before as the enemy sought to disrupt their destiny. But it was as if the Lord was encouraging me to release His heart by saying, "Hold on! A new day is dawning through the clouds of sorrow. What's been breaking your heart and crushing your spirit is lifting from your person." As I pondered on how the Lord is moving at this hour, I sensed the Lord awakening His Bride to heed more diligently to the call of His heart through the mouth of the Jeremiah prophets. The Church is experiencing a cleansing by yielding her ear toward reconciliation and is being purified of man-made structures and sinful ways. A great shaking has been going on, separating the chaff from the wheat to bring the house of God into her perfect order. A new move of the Spirit is quickening hearts through a powerful display of Kingdom unity, sparking greater camaraderie in the Church as a whole. This year is a plowing year to build secure foundations for the future. As the Word of the Lord goes forth I sense hearts of humility being more yielded to the truth as the fallow ground is being prepared for new plantings of the Lord. I see these plantings coming in the form of new relationships, building partnerships, heavenly blueprints, strong family foundations, and an increase and outpouring of the future. February is a month where you'll say, "Everything changes!" The burdens are lifting. New peace is arising. Wholeness is opening a whole new world for us to soar through. I hear the Father saying, "The time has come, My children, to shake the clouds of dust from the feet of your last season – and be refreshed anew." At the beginning of the new year the Lord spoke a word into my spirit about being "Bridge Builders." Bridge Builders are conduits facilitating new access points. Without a bridge, it's impossible to get to divided landmarks. To get from point A to point B we need a bridge to fill in the gap of division and disunity. When people become bridges in the hands of the Lord, a great transformation can usher in a harvest of souls being raised up to accomplish great Kingdom exploits. Continue to allow the Holy Spirit to mold and shape you in this season. We are in the hands of the Potter on the Potter's wheel as He is creating us anew. When we allow the process to unfold the way God intended it to unfold, we will truly come forth as vessels of pure gold!